Simpática e confortável moradia T1, em zona sossegada e com excelente vista. 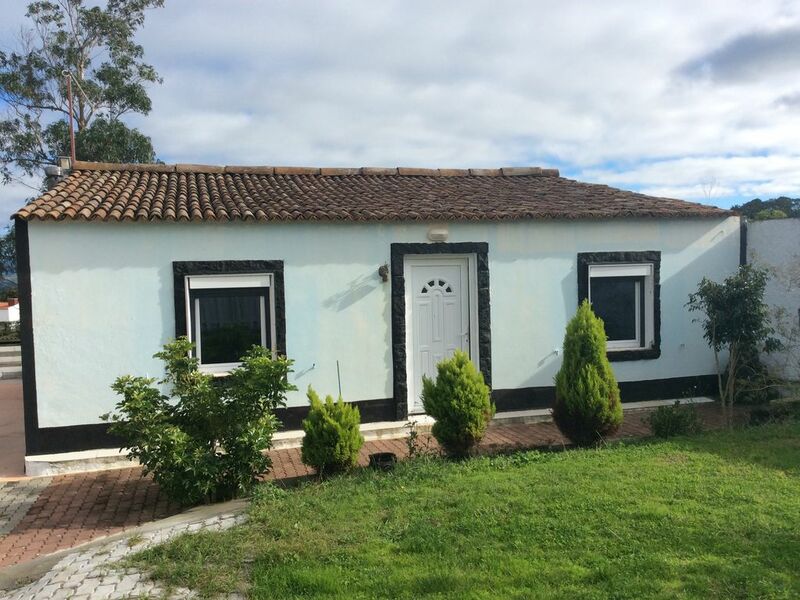 Casa t1, inserida em quinta, muito bem localizada, no centro da ilha, a 10 minutos da principal cidade, Ponta Delgada. A moradia dispõe de um quarto de casal, sala de estar com kitchenet, galeria envidraçada, casa de banho e jardim. Totalmente equipada com toalhas de banho, utensílios de cozinha, termoacumulador, frigorífico, placa indução, microondas. The accommodation adequately met our needs. This was our second stay on the island, so Pico da Pedra gave us the opportunity to investigate the north coast of the island. We enjoyed sitting on Santa Barbara's beach at the end of each day for a couple of hours. The reason is that to get into your property you have to go thru gates into his property and then drive through to the cottage. There are 2 friendly dogs on the loose. If you love dogs that's no problem. But I'm anxious of them and they jumped up at the car. This worried me as the hire company check for scratches. But Joao is really kind and with the setup there isn't much he can do to stop this problem. But for me it made measy anxious each time we went in and out of our property. Nous avons séjourné durant 10 jours sur l'Ile de Sao Miguel. Concernant le logement, celui-ci était conforme à l'annonce, propre et situé dans un quartier plus haut dans le village. Le logement est au calme sur la propriété de Joao et il y a possibilité de garer le véhicule de location dans la cours. Seul point négatif durant le séjour, le chien du voisin qui a passé la nuit à aboyer. Un grand merci à notre hôte, qui nous a donné de très bon conseil pour visiter l’île. Nous on garderons un grand souvenir. Thank You for your stay! Hope to see You again in Azores! Te deben de gustar los perros ya que el propietario, quién vive en casa adyacente, tiene dos pequeños. La propiedad está muy bien ubicada. 15 minutos solo te llevará llegar desde el aeropuerto. Se encuentra ubicada en el centro así que cualquier destino de la isla no te quedará muy lejos. El dueño te informa gustosamente de los sitios que no debes perderte y dónde comer platos de la tierra. Yo no tengo duda de que repetiría. Thank you very much, John! Hope too see You again in Azores. It was a pleasure to have You At our house.